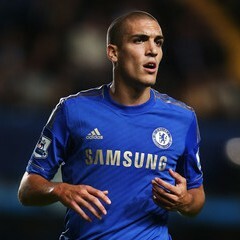 Valencia CF are seriously considering making a move for Chelsea's defensive midfielder Oriol Romeu. The club knows it needs another defensive midfielder with only Albelda being one, and they are also looking at a potential long term solution as Albelda's replacement and here is where Oriol Romeu comes in. He is a talented young defensive midfielder that can also play as a central defender and that suits Valencia CF as they can tackle two birds with one stone. He would also come cheap as he has barely featured only once so far for Chelsea, so its clear he is not in the plans of Di Mateo and so getting him would be relatively easy. He used to play for Barcelona B team and was and still is considered big talent. The fact that he hasn't featured much might be regressing his skills a bit, but Valencia CF would want to make a move for Oriol Romeu in the winter transfer market. He is still 21 years of age, so a potential future star and considering Valencia CF has very little money to spend this is the ideal transfer target right now.